Imagine waking up dozens or even hundreds of times each night. Doesn’t sound very restful, does it? Yet that’s the reality for people with obstructive sleep apnea (OSA) – about 25 million Americans at last count, if not more. And it’s a reality that puts them at risk for an array of other health problems, including heart disease and stroke. According to the American Sleep Association, about 40% of hypertension patients also have OSA, and vice versa. 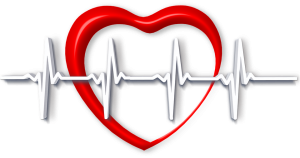 For those with atrial fibrillation, there is a 50/50 chance that they will also have sleep apnea. In patients with myocardial infarction, the numbers can rise as high as 60%. These numbers change depending on age, location, gender, and overall health. Now, new research in the Journal of the American Heart Association suggests that treating sleep apnea may improve stroke outcomes. Researchers analyzed data from 252 adults who had been hospitalized for ischemic stroke or transient ischemic attack (TIA.) Nearly three-quarters of those screened for sleep apnea had the disorder. But those who were being treated for sleep apnea – in this case, with CPAP, a device that helps keep the airway clear with continuous air pressure – showed greater improvements in neurological symptoms and daily ability to function than those who received standard medical care. In fact, 59% of the CPAP group had neurological scores at or near normal. This was the case for less than 40% of the control group. “All the evidence suggests if you treat sleep apnea early, the better your stroke outcome will be,” lead author Dawn M. Bravata told the media. But even better than treating OSA after the fact is to identify and treat it early, before it can wreak havoc with your health. Of course, one of the challenges is that many folks with sleep apnea don’t know it until a sleeping partner says something, having noticed some of the common signs of OSA. If you routinely wake up feeling tired or find yourself nodding off easily through the day, it would be wise to consult a health professional for a sleep study to find out if apnea is playing a role. And if it is, know that CPAP is not the only option out there. Increasingly, oral appliance therapy is recommended as a front line treatment for mild to moderate cases. Many people find it far more comfortable than CPAP, and evidence consistently suggests that it is just as effective. The main thing is to not do nothing. Sleep apnea can have serious consequences if left untreated, including death. If you think you or your partner might be struggling with this condition, talk with us about it at your next appointment in our holistic dental clinic here in Arlington or consult your local dentist about your options.